1960 Cavern Club Jazz Festival Programme. 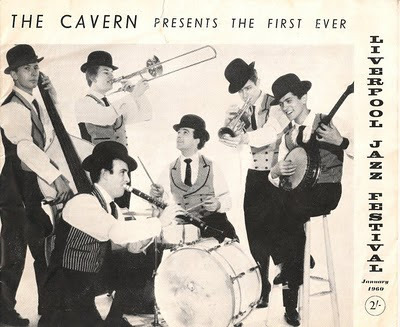 In January 1960 The Cavern Club presented their first Liverpool Jazz Festival. We have a copy of the programme for this festival in our auction in August. 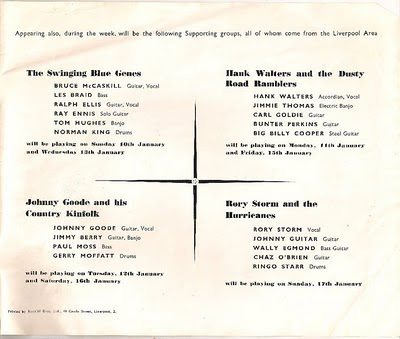 On the bill was Rory Storm and The Hurricanes who featured Ringo Starr on the drums before he became a Beatle. Please see our FAQ section for information about how to place items in the auction or how to bid on items at the event in August. 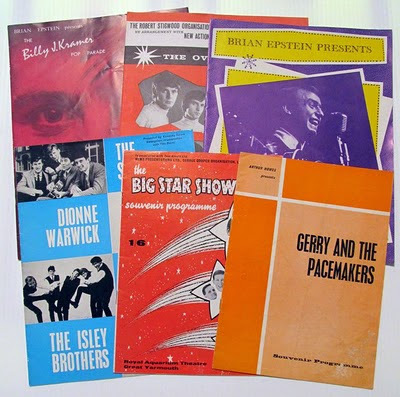 Concert programmes are facinating documents from the 1960s. 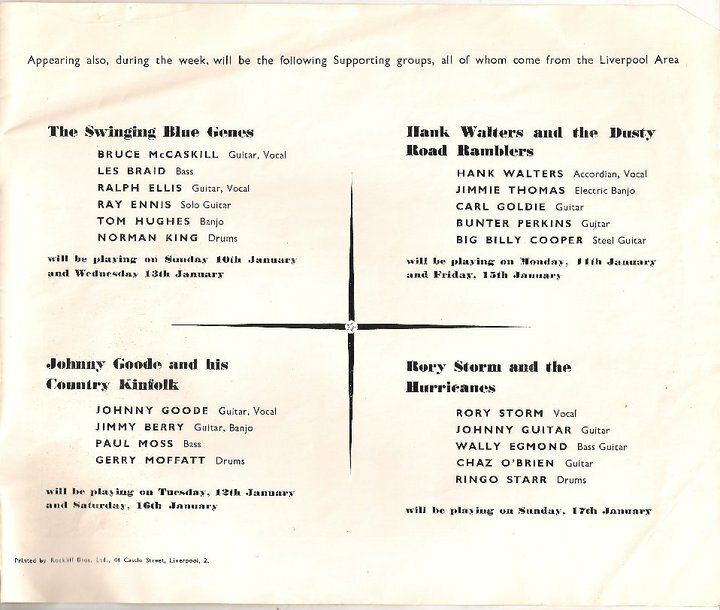 There were often several bands on a bill and the programmes usually contained short biographies and photos of these groups that didn't always hit it big. 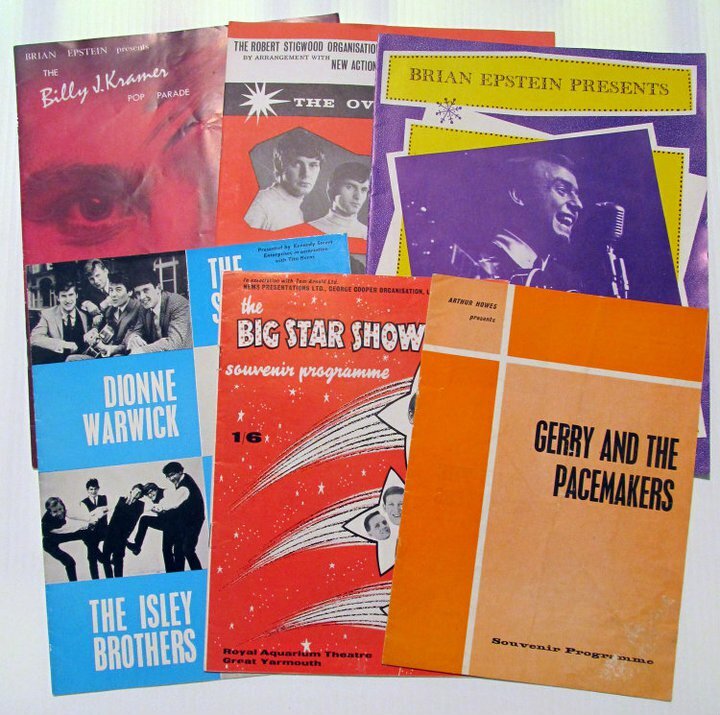 This collection of six assorted concert programmes includes Gerry & The Pacemakers, Billy J Kramer, The Searchers, The Merseys, Dionne Warwick, The Zombies,The Overlanders and more on various bills. The Overlanders/Merseys programme even includes a band named The Fruit Eating Bears that boasted future Badfinger member Joey Molland! 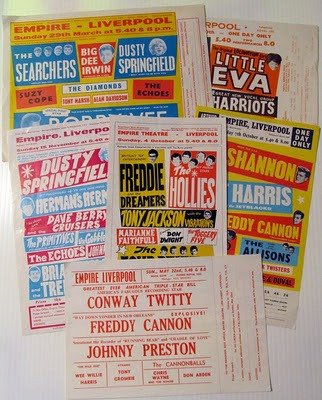 Handbills for concerts were largely disposed of by venues, promoter and even the general public after gigs had been and gone. 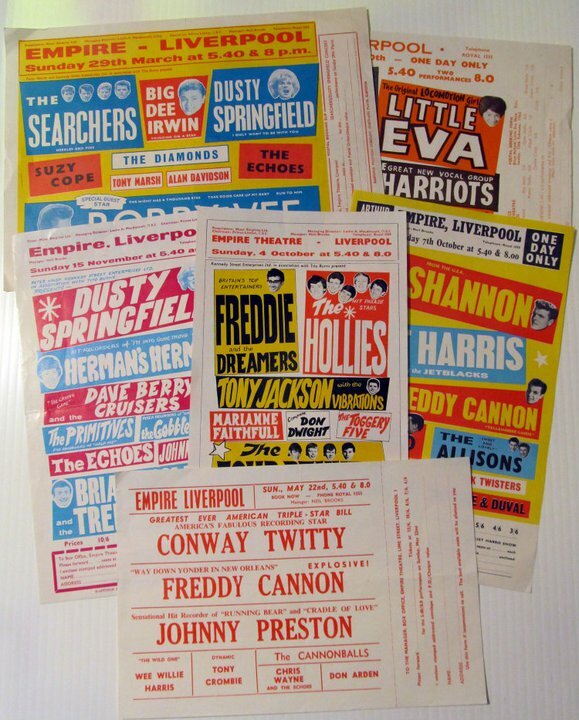 This collection of six handbills are all for shows at The Empire Theatre in Liverpool. They features names such as Little Eva, Brian Hyland, The Searchers, Dusty Springfield, Bobby Vee, Conway Twitty, Johnny Preston, The Hollies, Marianne Faithfull, The Four Pennies, Freddie & The Dreamers, Del Shannon, Jet Harris, The Allisons, Herman's Hermits, Dave Berry, Brian Poole & The Tremeloes and more! Please note - these items are offered for sale in our annual Beatles Auction which takes place in Liverpool in August. Details of how to bid can be found in the FAQ section of this site.